"Get your life from VISION to FRUITION!" ﻿Tru Talent Productions is now offering life coaching sessions to assist you in making your dream a reality! Our certified life coach provides honest support, effective motivation, and customized, carefully considered strategies/ideas to help you get your life to what you truly see for yourself. 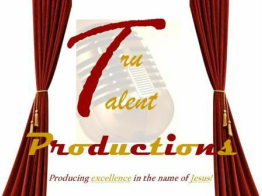 Tru Talent Productions thrives on bringing YOUR vision to fruition through awareness, accountability and truth! Start living the life you truly want today. This accelerated 40 day course is designed to give you the essentials tools, support, and guidance needed to make your God-given dream come true! This course was created and is taught by the certified life coach, Djuana Ross. If interested or you want more information, take The Dream Pregnancy Test for FREE to see if this course is a right fit for you! Take The Dream Pregnancy Test! The Tru STEPS Seminar is an affordable group life coaching private virtual class that is offered monthly that addresses particular topics. This seminar includes life advice, success tips, a downloadable guided workbook, group support, answers to your personal questions and an eGift card. Register for the next seminar today! Your dreams you can't ignore. Get ready for a brand new start! Click the button below that relates to your individual needs. ​We look forward to coaching you!